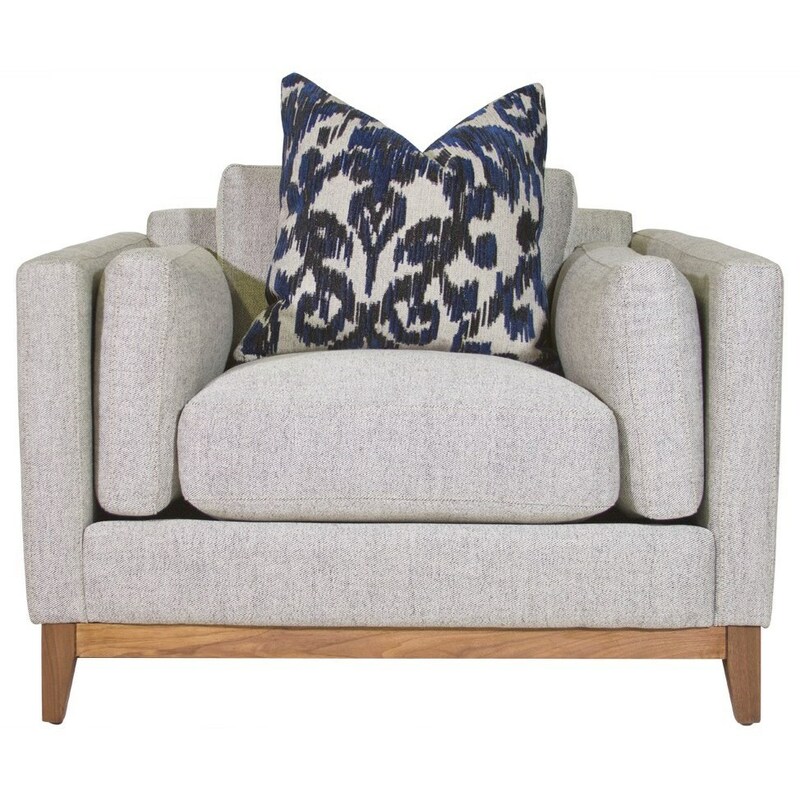 Complete the living room of your dreams with this modernesque arm chair. This fashionable chair sets instead of follows trends with a chic, low-profile silhouette and beautifully complementing exposed wood base. Finishing off this designer-worthy look are matching bolster arm pillows and a contrasting toss pillow. The Kelsey Chair by Jonathan Louis at HomeWorld Furniture in the Hawaii, Oahu, Hilo, Kona, Maui area. Product availability may vary. Contact us for the most current availability on this product.